This is the ultimate luxury base layer top from Danish brand CeLaVi. With an inner layer of 100% bamboo fibres next to the skin, and an outer layer of 100% merino wool, this base layer top combines the best qualities of both natural fibres. Merino wool provides great insulation, and it is the only natural fibre which can absorb upto 40% humidity, without feeling damp, and with long fibres is very soft to the touch. 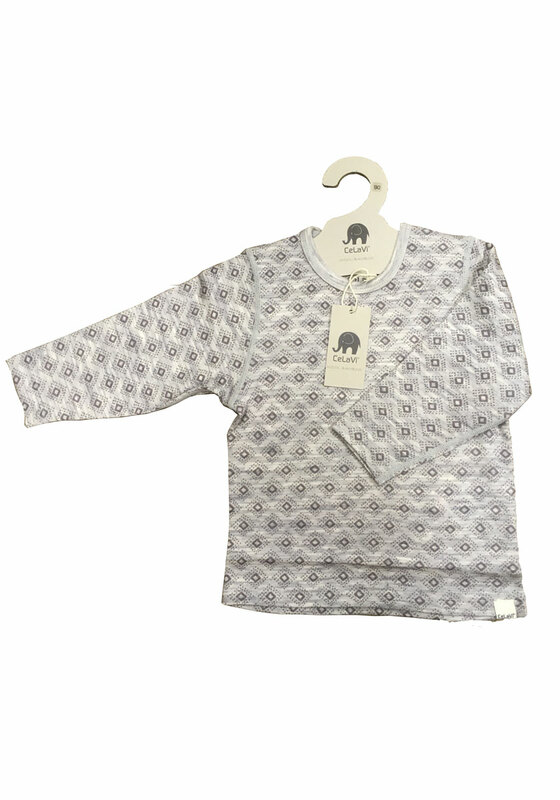 The long hollow fibres of bamboo are also great insulation, and wick moisture away from the body, feeling very soft, cool and comfortable next to the skin, and especially popular for those children with delicate skin and allergies. 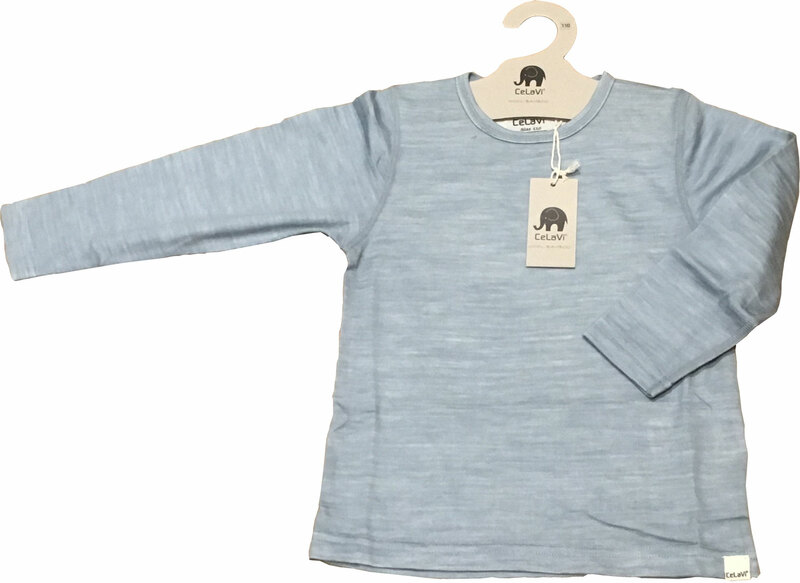 Both inner bamboo, and outer merino wool fibres are naturally antibacterial , breathable and wicking, helping kids stay cool when it is hot and be warm when it is cold. This luxury top makes a perfect base layer for outdoor actitivities or as a sleepwear top. Sold out size 100cm, 120cm, 130cm faded denim; Waiting for stock grey print 120cm.